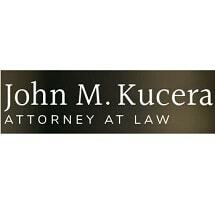 John M. Kucera, Attorney at Law is conveniently located one-half block North of the Shasta County Courthouse in Redding. He has provided professional, aggressive and personalized services to clients seeking representation for criminal defense since 1986. John is licensed in both State and Federal Courts and serves Butte, Colusa, Del Norte, Glenn, Humboldt, Lassen, Modoc, Shasta, Siskiyou, Tehama, Trinity and all other counties in California upon request. He occasionally sits as judge "pro tempore" in Shasta County.